January 9, 2008 - Make sure you like EcoJoes on Facebook to stay updated on green ways to save money and help the environment. Just click the "like" button below. Muchas gracias! How many razors do you go through in a year? Probably a lot. The deadly combination of debris in the blades and moisture causes the razor blades to dull. But here is how to only use one razor per year! This is the secret to making your razor immortal (or close to it). Remember, you will be using this razor for a year (or maybe even more). I went ahead and splurged on a Mach 3 Turbo, and if I can get it to last for years, it will have more than paid for itself. I use a towel to do this, but you can also use a hair dryer. Get it as dry as you can. When you put up your razor, don’t put one of those little plastic caps on it. Those hold moisture in. Put your razor somewhere where it will stay pretty dry until the next time you use it. That’s all there is to it. I’ve been doing this since New Year’s day, ever since I learned about it through one o’ my co-workers. So far, so good. Hopefully when next year rolls around, I’ll still be using my same razor, thereby saving plastic, metal, and some o’ my money. Posted in green living, reusing, save money	on Wednesday, January 9th, 2008 at 10:20 AM. after one shave the blades are blunt so i went for an electric shaver, the blades last for years. oh yes i use electricity, but your using water! It is a great skip to the electric shaver. because it best for shaving with just spending bunch of bucks one time. 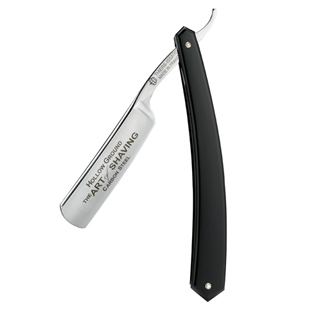 Hmm..you could simply figure out how to shave with a straight razor…that's what I did. I sharpen and strop it and have been utilizing it for over a year. Thanks! I always use disposables. I find them to be ok but only for a few uses. Bless you for 2d critical piece. Where more ought to all of us procure that manner of facts within the sort of unconditional direction of composition? I consist of a debut incoming week, besides I am on the watch for such info. This is simply too complaisance-grabbing,I hold bookmark your website furthermore peek onward to in pursuit of further of your fascinating tell. Similarly, I’ve joint your maze point in my sociable grids. I wonder if men prefer women to be shaved or they prefer the more natural look? I saw these razors on sale on hacked snapchat pictures. The razor is very good to use when you have long beard from a long fortnite gaming week. You can grow a long beard if you do not play fortnite with the fortnite hack. This information is really good, I appreciate you to save the earth I like your thought.